The Cashel Fly Mask, blocks 70% of the sun’s damaging UV rays and protects the sensitive, soft tissues of the eyes and forehead. The Crusader ™ Fly Mask, blocks 70% of the sun’s damaging UV rays and protects the sensitive, soft tissues of the eyes and forehead. With its patented three-hole cap to eliminate forelock damage the Cashel Crusader Fly Mask ensures comfort with its unique design that stays put while your horse is stabled or turned out in the pasture. Soft coated nylon micro mesh protects your horse’s sensitive soft tissue about the eyes and forehead. The Crusader ™ Fly Mask, blocks 70% of the sun’s damaging UV rays and protects the sensitive, soft tissues of the eyes and forehead. With its patented three-hole cap to eliminate forelock damage the Cashel Crusader Fly Mask ensures comfort with its unique design that stays put while your horse is stabled or turned out in the pasture. 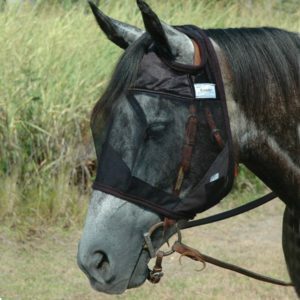 Soft coated nylon micro mesh protects your horse’s sensitive soft tissue about the eyes and forehead.The Crusader ™ Fly Mask, blocks 70% of the sun’s damaging UV rays and protects the sensitive, soft tissues of the eyes and forehead. 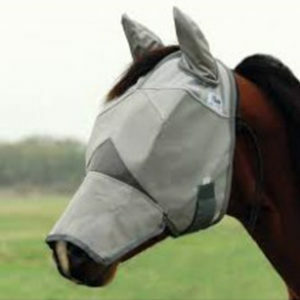 The Cashel Fly Mask Long Nose with ears blocks 70%of the sun’s damaging UV rays and protects soft tissues of the eyes, noses and forehead. The patented three holed cap eliminates forelock damage and ensures comfort with its unique design that stays put while your horse is stabled or turned out.